Today, of course, you cannot say this – indeed, questioning certain aspects of the Second World War is punishable by prison time. One thinks of the view of history presented  in the satirical movie Idiocracy, when the protagonist sits in a “Time Masheen” ride that tells him about how the “The UN [pronounced as a single word, the “un,”] unNazi-ed the world forever.” This about sums up what most people in the post-West today think of the greatest conflict in world history – it was simply about saving Jews and fighting racists. But historians of the future – largely because they will probably be Asian or some other non-white – will be able to see what actually happened. Just as we recognize the barbarian incursions into Rome as the death knell of the Empire, the Muslim influx into Europe will be seen as what it is – a hostile demographic invasion by an alien force. The collapsing birthrates, degenerate culture, and xenophilia of the post-West will be seen as what they are – the death throes of a society too sick to survive. And the wholesale replacement of the populations of once proud nations will be seen as what it is – not “enrichment,” but simply conquest. After all, no one today says that the Dakota Sioux were “enriched” by white settlement, increased trade and “economic growth” notwithstanding. With objectivity and absent dishonest moral posturing, we recognize as historians that the consequences of mass migration and military conquest are practically indistinguishable, except that the former is often worse than the latter. 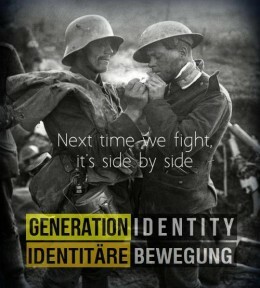 A nation can be occupied but liberated later, but a nation that loses its ethnic identity ceases to exist forever. It is not possible to objectively maintain that the German occupation of France was somehow more destructive to the French way of life than the non-white and Muslim occupation of France today. The French people under Vichy were more “free” in any meaningful sense than the French people under Hollande and the European Union. More to the point, while warriors fight so that their way of life can be preserved and their people can remember them as heroes, the “Greatest Generation” achieved the deconstruction of the entire world they defended. The white communities that Allied soldiers thought they were defending were deliberately eliminated by their own governments within a few generations, the whites’ culture dismissed as racist, and the soldiers’ sacrifices held to be of value only insofar as they opened the way for those who despised them. 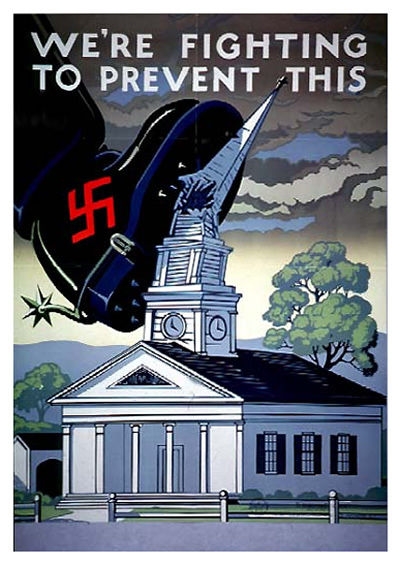 In what Peter Brimelow has called “Hitler’s Revenge,” the Western elite’s exaggerated disgust at Nazism eventually culminated in the demographic destruction of the Allied Nations themselves. Given current trends, words like “England,” “France,” and “Holland,” will, within the century, simply be geographic expressions. The question is whether this could have been foreseen. Were the ignorant Allied armies clashing on the plains of Europe saps? Victims? Their own worst enemies? Certainly, the war was not seen as an egalitarian crusade at the time. Indeed, the Pacific Theatre can be regarded  almost as a pure Race War. The American Army was segregated; the British, French, and other Allied powers made some attempts to regain their colonial empires after the war, and even the nominally Communist Soviet Union rallied the Red Army to fight in the name of Alexander Nevsky and Russian Nationalism more than the dream of a united workers’ world. But the success or failure of a political leader or movement is not determined by victory or defeat in the struggles of the day or even how they are viewed by history. Instead, success should be judged by how closely a person came to the goals he or she defined themselves and how well they defended what they believed was important. For example, Winston Churchill has a great historical reputation because he was the indispensable man who supposedly rallied Great Britain to stand against Hitler. Yet Churchill was a colossal failure by his own standards. A man who regularly switched positions on crucial issues throughout his entire career, the one constant throughout his entire life was his love for and dedication to the British Empire. Yet more than any other man throughout the entirety of history, it is Winston Churchill who bears the responsibility for dismembering the British Empire. He sacrificed everything to keep Germany from having a dominant position in Eastern Europe – so that the Soviet Union could have one instead. The ultimate failed reactionary, Churchill once said “It is a mistake to look too far ahead. Only one link of the chain of destiny can be handled at a time.” While it is fashionable to promote the Old Lion as part of an unbroken chain of British destiny stretching from the Duke of Malborough to Sword Beach , all it takes to see what he really accomplished is to walk through the monstrous conglomeration of international finance and Third World detritus that we call London. Said Churchill: “I have only one aim in life, the defeat of Hitler, and this makes things very simple for me.” And so he did, and like the other Allied leaders, he destroyed his own country and civilization in the end. What makes it worse is that Churchill actually wanted to preserve these things – he was just too foolish and short-sighted to do it. It is the responsibility of those who would lead to judge not just the rightness of a cause, but what their actions will set in motion. Certainly, the average soldier, sailor, or, for that matter, senator could not have known that fighting for “American national interests” against what they saw as some puffed up Germans and Italians would ultimately culminate in the egalitarian nightmare that is currently rendering “America” a meaningless expression. But we can see the consequences today. And today, with everything at stake, including our physical, literal survival as a people, we have to view each passing event, movement, or political figure in terms of what it will lead to and how the end game will play out. I do not condemn the invaders of D-Day. They didn’t know. More importantly, courage is worth honoring for its own sake, and the soldier who fights for his country always deserves the benefit of the doubt. But I believe that if the soldiers of June 6, 1944 could see what they were unleashing, they would have thrown down their guns and joined the defenders. We do not have time for this reactionary nonsense anymore. 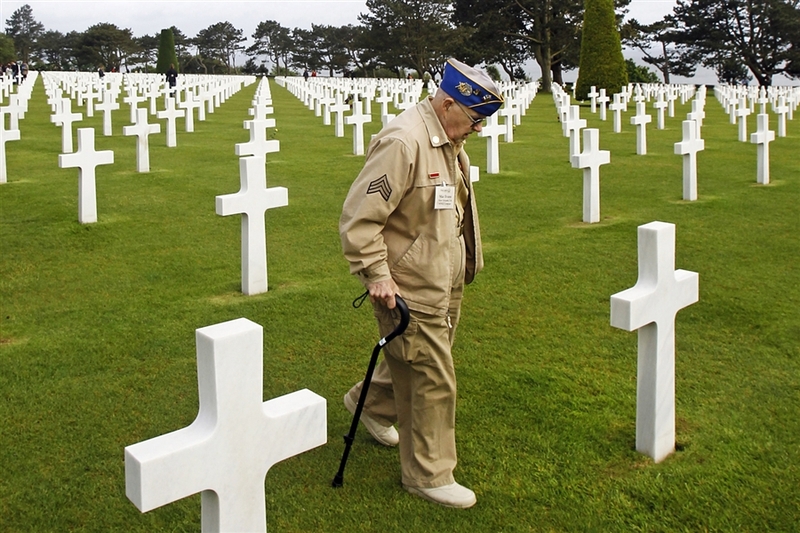 It must be said that those Americans, British, and others who died at Normandy did not die for no reason. The effect of their death was to make the lives of most of their descendants worse and to ensure the elimination of their own countries. They died so that the West could be destroyed. And regardless of what or who you believe is responsible for what is happening to the West today, it is the mission of this generation to reverse the verdict of that terrible Second Western Civil War. In the name of the blood that was spilled 70 years ago on both sides, we must fight so that Europe’s greatest defeat is not its final defeat.